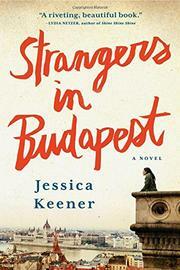 Budapest in 1995 is supposedly on the brink of post-communist economic revival, but the American expats who inhabit Keener’s second novel (Night Swim, 2013) can neither adjust to the city’s deep-seated complexity nor escape the problems they hoped to leave back home. Annie and Will arrive with their adopted baby, Leo, so Will can pursue a startup creating “communication networks.” Unfortunately, Will, as seen through Annie’s eyes, is a research nerd with little aptitude for entrepreneurship. Annie hopes to escape what she considers intrusive involvement by the social worker who arranged Leo’s adoption. A one-time social worker herself (an irony Annie misses), she makes ham-handed attempts to help the locally hated Roma population. After eight months, Will has yet to close a deal when his former boss Bernardo, a glad-hander Annie doesn’t trust, shows up with an enticing offer. Bernardo hires Stephen, another expat, who has moved to Budapest to connect with his parents’ homeland; they fled Hungary for America after the 1956 uprising but never recovered emotionally. The story of his father’s suicide touches a chord in Annie, herself haunted by a tragic accident that destroyed her family’s happiness when she was 4. Meanwhile, 76-year-old Edward is in Budapest to track down his late daughter Deborah’s husband, Van. Edward believes Van murdered Deborah though the official cause of death was related to her multiple sclerosis. The only character besides Annie with a revealed inner life, Edward is embittered by his experience as a Jewish WWII soldier. He disapproved of Deborah’s hippie lifestyle and her attraction to men he considered losers, like Van. Over Will’s objections, and the readers’ disbelief, bleeding-heart Annie agrees to help Edward find Van. A bad idea. As for Budapest itself—polluted, in physical disrepair, plagued by an ugly history, and populated by rude, corrupt, and bigoted locals—the author strongly implies that the misery and mayhem Annie experiences are the city’s fault. Expect readers of this unpleasant hate poem to Budapest to cancel any plans they've made to travel there.